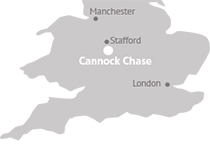 Community blog and recent blog authors at Cannock Chase District Council. What type of person buys alcohol for a child? Empty Homes – What a Waste ! Take Care and Be Aware! Thinking of setting up a new business?